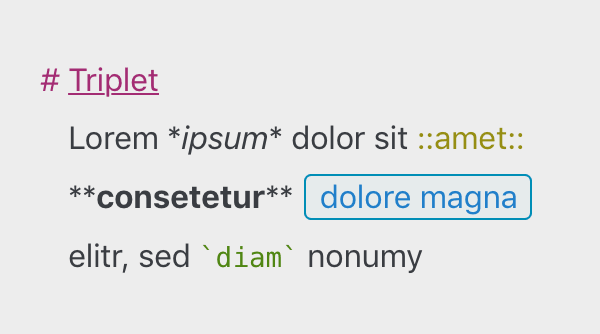 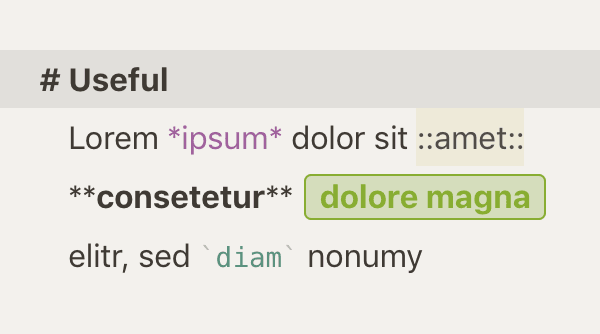 I like to think of this style as a simple combination of iA Writer and byword's native themes. 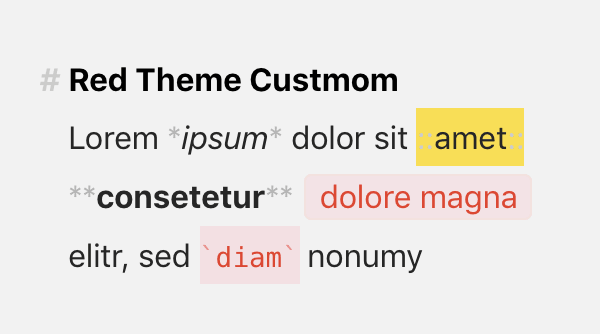 Mimicking the minimalism and editor-aesthetic of the two style sheets, with the addition of a non-distracting color palette added gracefully to the markdown notation. 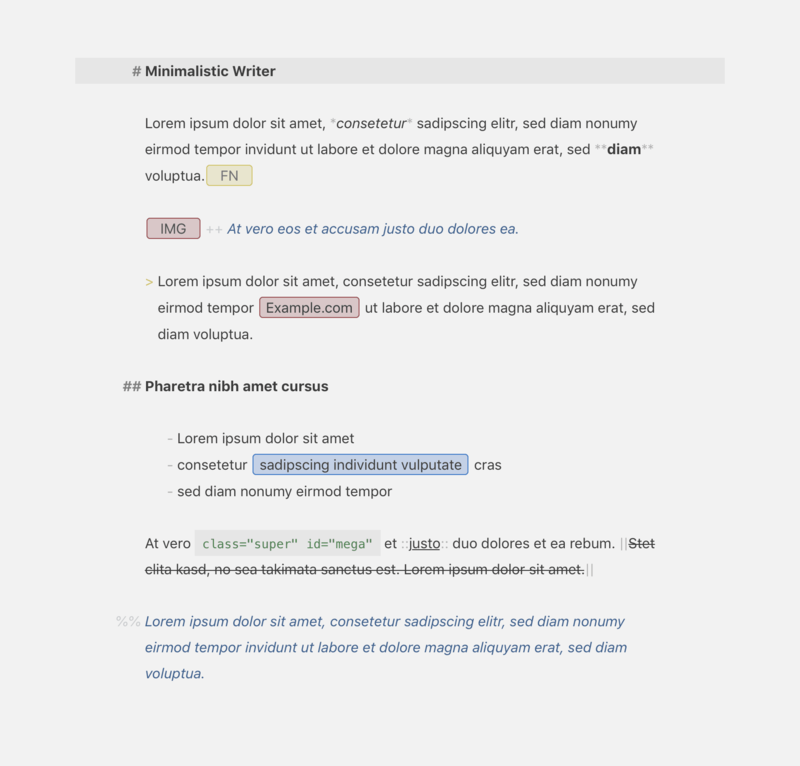 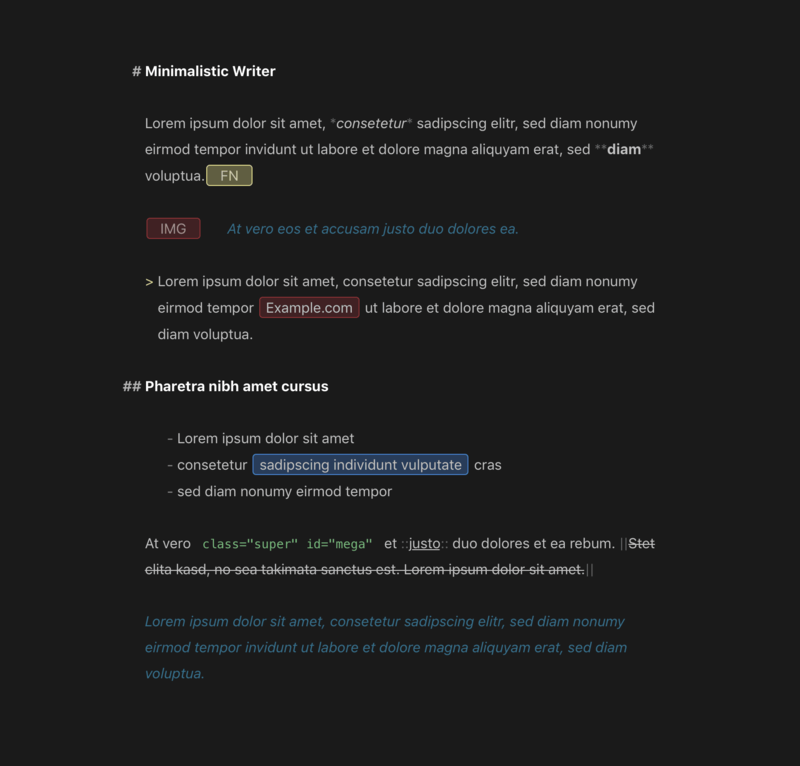 The faded color palette assists the writing and later referencing of in-line code, code blocks, comments, raw source code, and distinct links.